The Ban Ki-moon Centre for Global Citizens’ Board member Ambassador Kim Won-soo, Former Under-Secretary-General of the United Nations, featured at a panel discussion during the event at Kintex in Goyang, Korea. CEO Monika Froehler delivered remarks and interacted with youth participants discussing the meaning of global citizenship and how peace can be achieved in Korea through reunification. 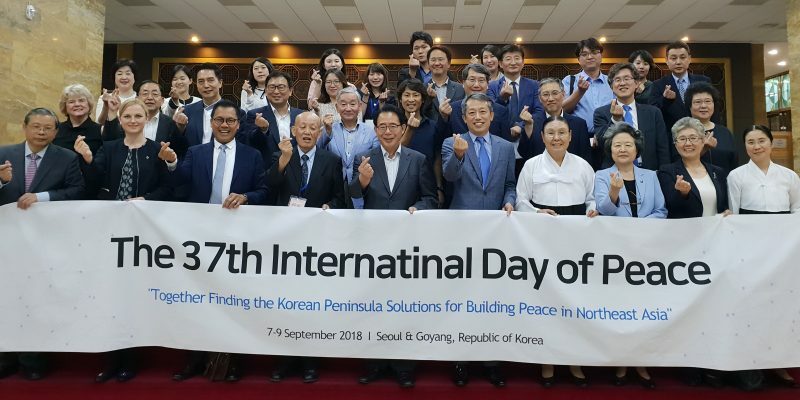 KOCUN-IDP also hosted a reception at the National Assembly of Korea. The International Day of Peace was established in 1981 by the General Assembly of the United Nations. Two decades later, in 2001, the General Assembly unanimously voted to designate the Day as a period of non-violence and cease-fire. The United Nations invites all nations and people to honor a cessation of hostilities during the Day, and to otherwise commemorate the Day through education and public awareness on issues related to peace.